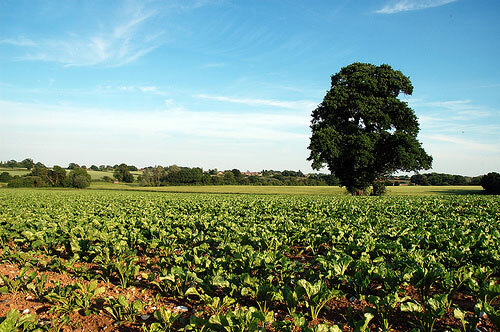 Tempers are flaring up over the production of sugar beets. The Center for Food Safety (CFS) and Earthjustice have filed suit in federal court to block the distribution of Roundup Ready sugar beet seeds. Roundup Ready seeds are genetically modified to make a plant immune to Roundup, an agricultural herbicide produced by Monsanto. Farmers can purchase the seed and then use Roundup to kill weeds without harming the valuable plant itself. This is a simple system that has been adopted en masse by soybean farmers in the United States. Because the plant has been genetically modified, environmentalists worry that its genes will cross-pollinate across distance and contaminate the genetic stock of organic and conventionally-produced plants. The implications of this are significant, so CFS and Earthjustice are suing to prevent the new Roundup Ready sugar beet from hitting the open market. Advocates for GM (genetically modified) plants argue that such a ban halts progress and will keep food out of the mouths of starving people worldwide. At least one blog refers to the actions of CFS and Earthjustice as criminal negligence. But there is no denying that, if allowed to be distributed, the GM sugar beet strain will end up being unintentionally inherited into the gene pool of another field. This is a very thorny issue. Photo courtesy of David H-W on Flickr.